It's 21:02 in Honomu, USA right now. Weathercam A webcam in Honomu, Hawaii, with current weather data. Hilo, Hawaii: Hilo Bay, 10.1 miles away. Hilo, Hawaii: Weather in Hilo, Hawaii - EAO JCMT Office, 10.1 miles away. Keaau, Hawaii: Keaau Elementary School, 18.1 miles away. 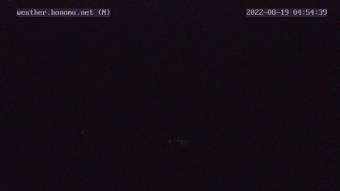 Mauna Kea, Hawaii: NASA Infrared Telescope Facility Webcam, 23.2 miles away. Kilauea, Hawaii: Halema'uma'u Crater, 34.1 miles away. Kamuela, Hawaii: Weathercam, 36.2 miles away. Waikoloa, Hawaii: Weather in Waikoloa, 43.9 miles away. Waikoloa Village, Hawaii: Waikoloa Beach Marriott Resort & Spa, 44 miles away.